Great Beds. Great Location. Our backyard is Boston Hill open space with miles of trails for hiking or biking and Downtown is 6 blocks away. 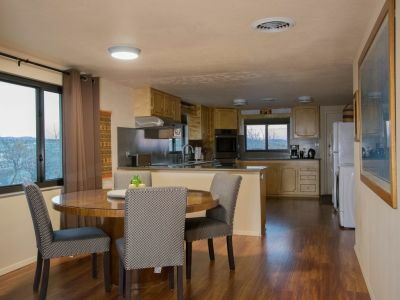 La Vista is a one bed, one bath, 700 sq. ft. living space in a second story cottage. This gem is located over 4 storage units and your covered parking in a stand alone building at the back of a 7 unit apartment complex. When you want to stretch you can take the Spring Street Trail Head located next to this abode, which is situated on a 1-acre property abutting Boston Hill open space. Downtown and the resturant district are 6 blocks. two bedroom, two bath home with office located just blocks from downtown and 1 block East of Boston Hill walking trails. Fantastic 624 sq. ft. deck right off the kitchen faces East provides covered parking for your vehicle. Both bedrooms have a King size natural latex mattress with adjustable firmness down and synthetic comforters. "La Cocina" is an historic quiet 1400 sq. ft. adobe with one bedroom and one bath. 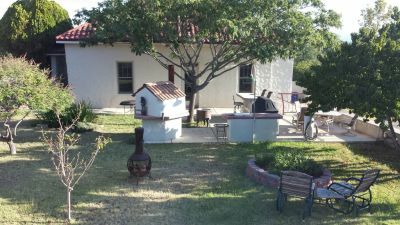 This house offers indoor/outdoor kitchens and a wood fired pizza oven. With the sleeper sofa, this home can sleep four. Built in 1905, completely remodeled in 2008, adobe with hardwood floors through-out 1st floor, 6 blocks West of downtown and 1 block East of Boston Hill open space.